UK grocery retailers have failed to meet an environmental target to deliver an overall reduction in packaging waste, figures show. But householders have far exceeded a target to cut the amount of food they throw away by 155,000 tonnes, managing 270,000 fewer tonnes since 2008, says the report by Wrap (Waste and Resources Action Programme) shows. Wrap described the results of the first phase of the Courtauld Commitment – targets drawn up between the UK grocery retail sector and Wrap – as a success. But it acknowledged that retailers had been unable to make an overall reduction in packaging waste, with the amount consistently remaining at approximately 2.9 million tonnes between 2006 and 2009. 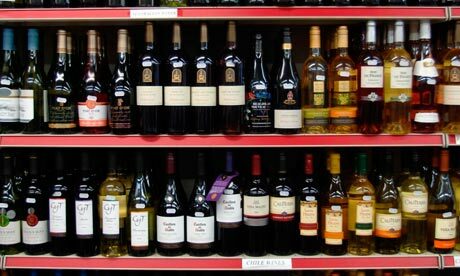 It blamed the failure on a 6.4% increase in grocery sales since the commitment began in 2005 and retailers gaining a greater proportion of the beer and wine market. On average, packaging across grocery items had reduced by about 4% for each product with advances like lighter wine bottles and concentrated liquids. Last week retailers had boasted of cutting waste to landfill in half since 2005. Wrap director of retail Richard Swannell said: "Retailers have reduced packaging by 4%, But taking into account a 6.4% increase in sales, it's not been enough to meet our targets. People are buying more things. It's a constant challenge to keep working on packaging." The report says a total of 670,000 tonnes of food waste and 520,000 tonnes of packaging had been avoided across the UK since the agreement was signed in 2005. It estimated the cost of the avoided waste at £1.8bn and the associated CO2 emissions at 3.3 million tonnes – the same as half a million around-the-world flights. The next stage of the commitment will examine the entire life cycle of products, from manufacture to household use.